Did you know that November is National Adoption Awareness Month? I’ve been asked by many well-intentioned inquirers if I knew this information. Yes. I’m aware. To be honest, I wasn’t planning on writing anything to commemorate this, because… well… for adoptees- every month is adoption month. But when I did a Google news search for National Adoption Month, I was struck by the pervasiveness of adoptive parent-focused stories. 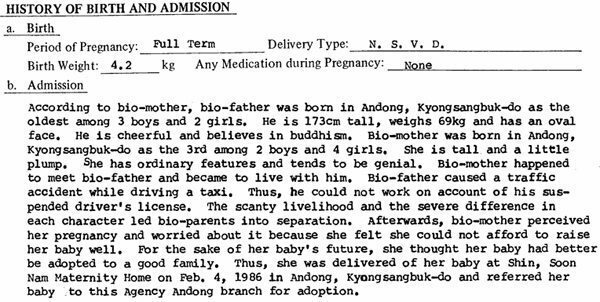 Where were the adoptee perspectives? They are there somewhere, but likely pushed down in search engine results, because they don’t have the manpower of local and national media outlets. So I will do my part to reclaim this month and add another adoptee voice to the fray, in the hope that someday we are able to lead the narrative and be heard. 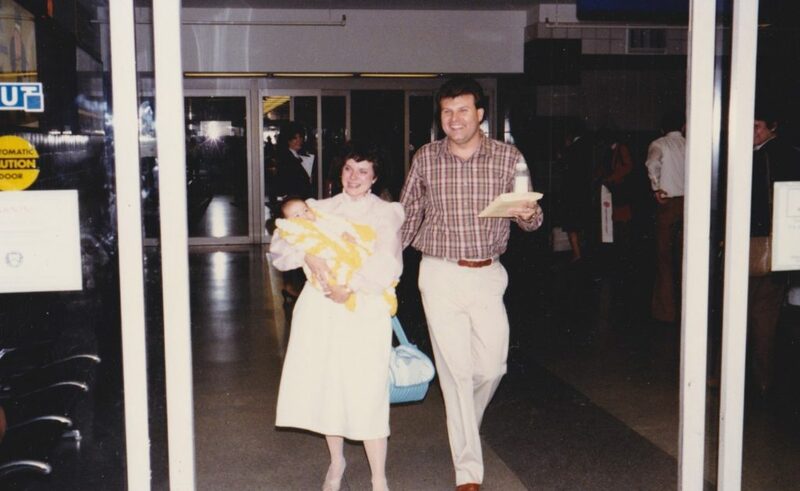 For those who don’t know my adoption story, here it is in a nutshell: I was adopted from South Korea at the age of three months by loving White parents. After college, I started a search for my birth family which came to a conclusion four years ago when I was reunited with my biological mother, two sisters, and brother. And we all lived happily ever after… right? I hate to break anyone’s fairytale adoption ideal bubble, but here are a few truths I’ve learned about adoption over the years. Even in stories, like mine, with arguably positive outcomes, adoption is traumatic for the adoptee. Growing up, I was not able to name my trauma. I often explained it as a “void” or something missing. In adulthood, I’m able to begin putting the pieces together more cohesively. Adoptees experience grief, but, in many cases, are not allowed to mourn that loss. We are told positive stories of our adoption as young children, but it’s only a matter of time before we realize that we were first abandoned by our birth parents. And these abandonment issues do not end in adulthood. Though I haven’t experienced divorce, I can imagine it might be similar. If a woman’s husband leaves her, even after remarries the perfect guy, she may always deal with a persistent fear that he will leave her as well. Fear of abandonment is real, and has to be acknowledged in order to resolve it. 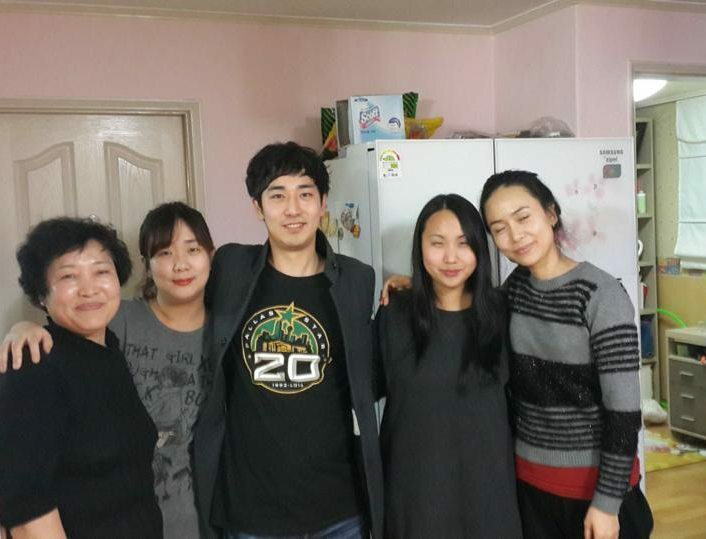 Even the most well-adapted adoptee still faces moments where the trauma resurfaces. For me, that meant small things like every time a doctor would ask me for my family medical history or now, post-reunification, not knowing when I will be able to meet my biological sister’s new baby boy. I won’t go into the trauma experienced by birth mothers and families, because that is not my story to tell. Suffice it to say, from my personal reunification experience, adoptees are not the only ones who struggle with the aftermath of adoption. Adopted children should never have to feel like a consolation prize. Also, please stop using the phrase “Gotcha Day”. It sounds predatory and strange. One of my favorite adoptive families celebrates “Adoption Day” instead. This is much more appropriate and less like the corralling of kids so you can catch one. We’re not cattle. I use quotations marks intentionally, because the concept of colorblindness in the context of adoption is highly suspect for me. So many adoptive parents claim to be “colorblind” and not see the color of their child’s skin or race. This is not a dig at people who are actually physically colorblind… even people who have the real condition can still see different characteristics of a person aside from color. This argument is aimed at the parents who go out of their way to prove they are politically “colorblind” as if it makes them a better adoptive parent. Let’s pretend for a moment that you truly do not see color or any social/racial differences in your child. By not acknowledging what the rest of the world does see, you are leaving them vulnerable to real prejudice and discrimination. I’ve heard/read so many defensive adoptive parents claiming that their transracial adopted children have NEVER experienced racism or bigotry, and that discussing things like that are not “too negative” and unnecessary. I’m sorry, but WRONG. I believe that it is nearly impossible for any school-age child of color not to have experienced some form of implicit bias in their life. Even if we pretend for a moment that they indeed haven’t, there is no guarantee that they won’t someday in the future. 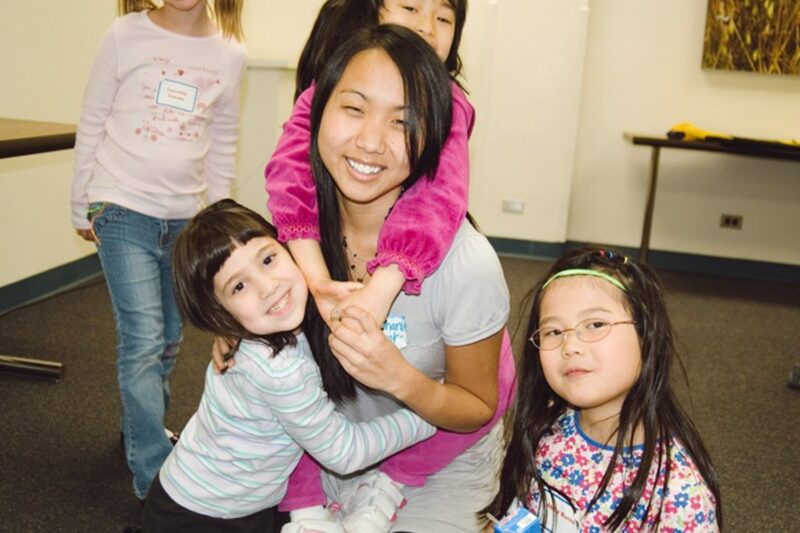 Even if I hadn’t been called a chink in my 5th grade class, or told to “Go Back to China,” or hypersexualized because of my ethnicity and gender, being raised in the South means that even to this day, I will often be the only Asian person in a room. I still face (even well-intentioned) microaggressions like people asking me where I’m really from or telling me how good my English is. As parents, you are your child’s first teachers and ultimate protectors. You are doing a disservice to them in your refusal to acknowledge what our society won’t let them forget. You should be teaching them how to handle hypothetical situations, encouraging them to speak up and fight for themselves, and instilling empathy in them so they can use their stories to help others. My parents are not my rescuers. I love my mom and dad to the moon and back. They are my role models, biggest supporters, and best friends. I feel blessed to have them in my life– but please don’t presume to tell me that I was “lucky” to be adopted. Like many adoptees, my parents told me that I was special. While meant with good intention, it’s like Superman (also an adoptee) — with great power, comes great responsibility. Being chosen is a burden. It puts pressure on us to be perfect and grateful. It can be incredibly emotionally taxing and negatively effects your self esteem in the moments where you can’t live up to that perfect picture. These expectations can prolong mental illness without treatment, because it may seem like asking for help is being ungrateful. 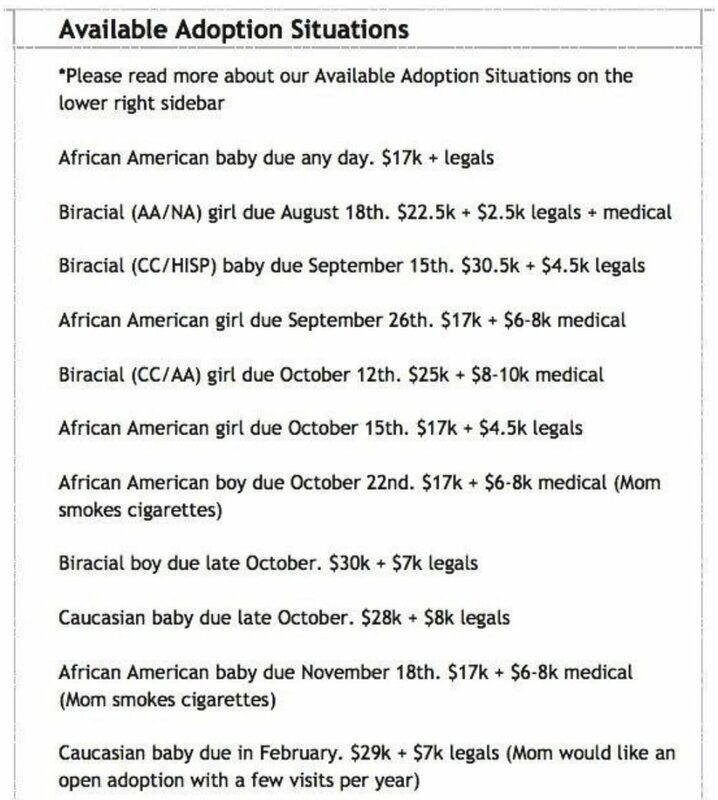 Do you know how much it costs to adopt a child? Tens of thousands of dollars. And the amount fluctuates based on age, race, and gender. I read a statistic shared by a Korean adoptee friend last week which stated 63% of children who are adopted are children of color and 73% of these children are adopted into white families. Adoption is not only a privilege, it is predominately a WHITE privilege. Can you imagine if the money people spent on adoption services went instead to supporting single mothers or low-income parents? Or what if adoption profits were used to benefit adoptees themselves in the form of post-adoption services like counseling, genetic testing, mental health treatment, or birth family search costs? Because of all the adoption-isms mentioned above, adoptees need people in their life who understand them. Several years ago, before things like Facebook and blogging took over the world, I didn’t feel like I had a community of adoptees or a platform to share my story, so I made my own. My YouTube channel gave me an outlet to speak my adoption truth and connect with others who related. It also brought amazing people into my life. 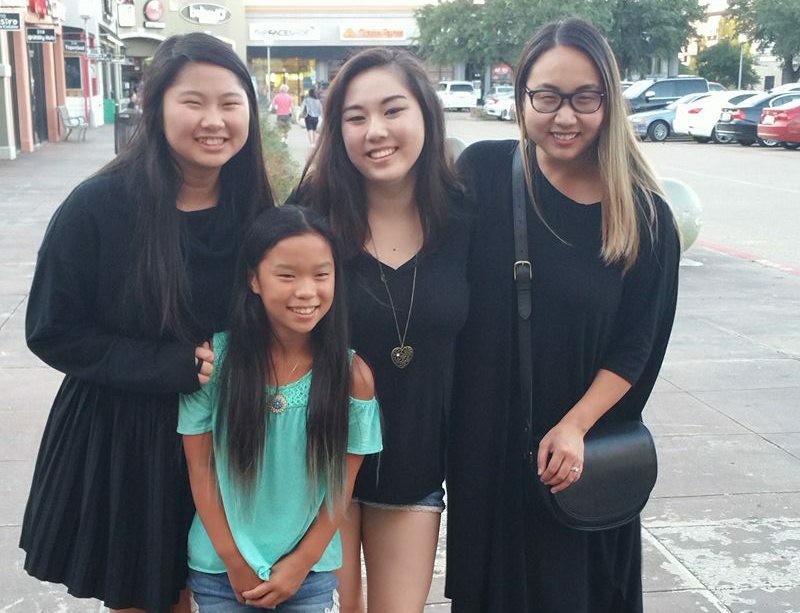 Meeting other Asian adoptees, whether online or in-person, has always helped me feel less alone. I always wished that I would have had an older adoptee to help share their story with me when I was younger. This is why mentorship is so important to me now. The Truth about adoption is that there is no truth. Adoption is many different things for many different people. It is love, loss, grief, abuse, hope, despair. It can sometimes be celebrated, but should always be examined through a critical and compassionate lens. 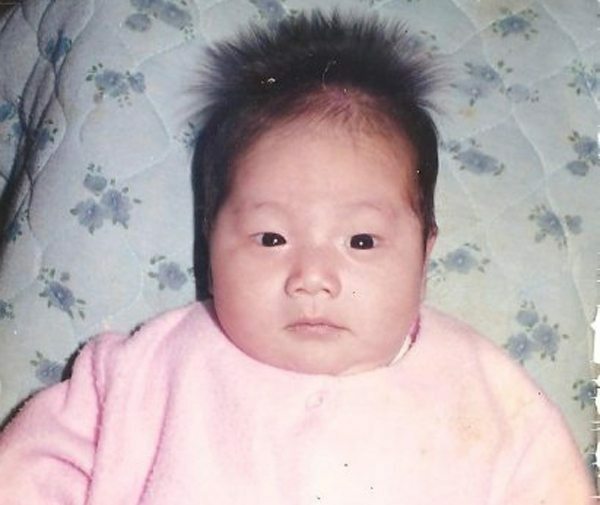 Interested in reading more adoptee perspectives during National Adoption Awareness Month? Thank you! As a WAP of two Chinese daughters, I am always looking for stories from those who have come before. I enjoy the Capsule Wardrobe and photography but relish your adoption related posts. Thank you, Paula! It’s always been a struggle trying to balance all the aspects of my life on this blog. My complicated feelings towards adoption have been resurfacing more and more these days, so I’m relieved to hear that the posts are welcomed! Hi Stephanie-thank you for this. I will be sharing! Yes to all of it, especially the idea of community for adoptees of color. We live in a metropolitan area for that reason. And especially, thank you for talking about your feelings on adoption. Some APs say their kids never ask and don’t think about it. Thanks for reading, Jody! Going to school in Chicago after growing up in a small town was profoundly eye-opening for me, so I commend your choice to live in a metropolitan area. I didn’t talk to my parents very often about my adoption. Partly because of the “gratitude” complex, but also because I was a kid and had other interests, too. Adoption wasn’t always on the forefront of my mind. But what happened was that I internalized things and they manifested in other issues– some later in life. I think the important thing is for kids to feel safe asking/talking if they need to! After reading these types of posts, I am always left thinking that adoption is detrimental to the adoptee to the degree that they would have rather been left alone. White privilege? What are we whites supposed to do, nothing? So then we can be berated for doing nothing? What if the problem is that other ethnic groups WON’T step up, rather than CAN’T? I take offense to the correlation you have drawn that simply because the majority of adoptions are white, therefore it MUST be due to white privilege, whatever that is. What if we really do count it a privilege to adopt? Have we forgotten what the definition of the word really is, rather than the politicized garbage definition we hear regularly? In the effort to “let your voice be heard,” along with all the many other voices throughout the adoptive and foster communities that I have also heard and am part of, I am now completely turned off from adoption. Rest assured, there will be one less adoptee in the world to go through this same angst. As an adoptee and also the white mother of an internationally adopted child, your defensive response to this post indicates you really don’t understand adoption nor do you have empathy for the international adoptee perspective. In the last paragraph, Adoption is a Paradox, the author very eloquently sums up the complexity of feelings that adoptees have toward their adoptions. International adoption adds yet another layer of complexity. If you can’t or are unwilling to try to understand this, it seems to me that you have come to the right conclusion regarding whether or not you should adopt. I too didn’t like the white privilege comment since there were not more facts to back it up. I tell people all the time if you want to adopt, go through your local foster agencies. Total cost for our last adoption was around $500.00. I’m sure it is more now, but it is very affordable. In a way saying it is white privilage is putting color into something that should not have anything to do with color. I do totally agree with everything else in this article!!!! I learned a lot from this post, but found some of it insulting to me as a white adoptive mother to two AA boys who began as our foster children. I love them fiercely. They are not lucky to have us, they owe us nothing, ever. Our oldest son is medically fragile and let’s be honest my white privilege had nothing to do with his adoption. Tell ya what: I am white; I appreciate hearing the perspectives of adoptees; and I chose to raise my kid myself, because I listened to birthmoms who regretted their decision and decided that my kid was better off being raised by her biological mom. I think my daughter would agree. The “white privilege” factor: while I realize that adoptive parents in the United States are probably more likely to be Caucasian, I think the main issue is finances / socioeconomic status, rather than race. But that said, I do think the author has a point about the racial / cultural differences, and that those differences should not be ignored. As for the commenter who views adoption as a privilege: I disagree. To be blunt, I’m grateful that, to the best of my knowledge, my biological parents raised me. I am also glad that my husband and I are raising our biological daughter. It’s one thing when the parents / relatives are abusive, or if the region is dangerous for children, such as in a war zone in a developing nation, or where kids are apt to be sold into slavery or the like; but when they’re not — or if a family can get to a safer area — there is this natural sense of kinship, common interests — a very real, natural bond — one for which I am grateful. Look, children are not a commodity. Children are people, just as we are. Their heritages, hopes, dreams, desires and needs should be respected. Honestly, I don’t know what I would think of growing up in a different culture, speaking a different language than my biological family. It would probably be interesting; but if I knew I were different, I might not like it. I don’t know. But whatever the case, adoptees are people, not commodities. They have every right to have a voice. And I wish adoptive parents would shut up when they want to come across as “heroes”. You want to be a real hero? Support birthparents and struggling families and communities, so that they can keep their kids in the first place. That is real love — not taking someone else’s kids for your own benefit, while depriving birthparents of children they wanted to raise but were coerced or deceived into adopting out, or felt they had to adopt out for reasons of poverty, lack of societal support, or some other family difficulty. And good grief, this only begins to touch on the frequent denial of rights to biological fathers in many cases…. yet another can of worms. Well, I guess it just goes to show that adoption really is a complex issue. All that said, I will admit: I am thankful for the many adoptive parents who have done their best to show love to the kids they adopted — and for adoptive parents who adopted, simply because they wanted to show love to a kid, rather than be looking to fulfill a need. I really appreciated your article in the Huffington Post. You were able to express so many things that I have never been able to others or myself. I, like you, was adopted from South Korea and pretty much spent most of my formative years in a suburb of Atlanta, Georgia. So you can imagine, we had very similar experiences. I am now working and living in Korea. 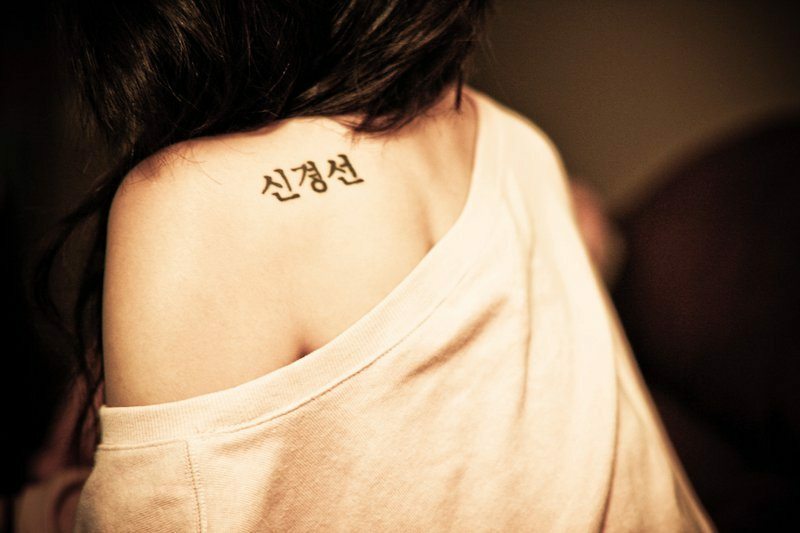 I’m here to discover what is to be Korean…trying to discover what I have been denying for almost 50 years.